Update: The interview — intended as a public apology — has only caused Sterling more problems, and did nothing to satisfy his critics. What’s particularly got people talking today (Tuesday) are his comments about basketball great, Magic Johnson; which are partially excerpted below. As you might imagine, the fallout from this has not been insignificant; and the story can be followed via many links to be found upon Mr. Sterling’s PeekYou profile. The remainder of this entry was posted on Monday, prior to the interview airing. 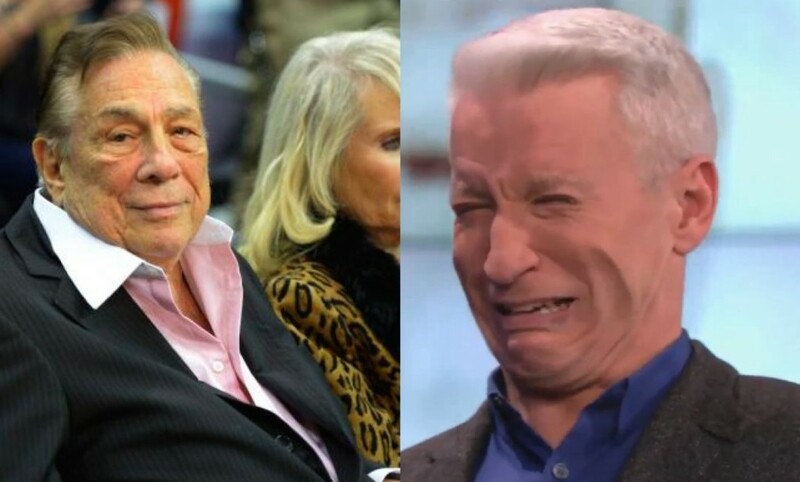 “I’m a good member who made a mistake and I’m apologizing and I’m asking for forgiveness,” says Sterling — who insists he was “baited” into making the comments that unleashed the firestorm — in an excerpt released ahead of Monday’s broadcast. “Am I entitled to one mistake, am I after 35 years? I mean, I love my league, I love my partners. Am I entitled to one mistake? It’s a terrible mistake, and I’ll never do it again,” he added. Check out an excerpt below, and keep up with the Web’s coverage of the Sterling saga, as well as the vast cyber-existence of Anderson Cooper, via the great many links to be found upon each of their respective PeekYou profiles.